Livermorium (formerly known as Ununhexium, symbol: Uuh) is a synthetic superheavy element first produced in 2000 by the Joint Institute for Nuclear Research (JINR) in Dubna, Russia. A team from Lawrence Livermore National Laboratory also worked on the element, and though they gave credit to the JINR group for the discovery, the IUPAC rejected the name moscovium for the element in favor of recognizing the Lawrence Livermore laboratory with the element's name. To date, very few atoms of livermorium have been produced, precluding both in-depth study of the element's properties and well as the development of practical applications for it. As the heaviest member of group 16 in the periodic table, livermorium would likely exhibit similar chemical properties to other members of this group, showing the most similarity to its nearest neighbor, polonium. Livermorium is a P-Block, Group 16, Period 7 element. The number of electrons in each of Livermorium's shells is 2, 8, 18, 32, 32, 18, 6 and its electron configuration is [Rn] 5f14 6d10 7s27p4. In its elemental form Livermorium's CAS number is 54100-71-9. Livermorium was discovered in 2000 by the Joint Institute for Nuclear Research in Dubna, Russia and the Lawrence Livermore National Laboratory in Livermore, California, USA. Livermorium is a synthetic element that is not present in the environment. Little is known about the element, its appearance is unknown, and it has no known uses. Livermorium information, including properties, research, applications and other useful facts are discussed below. Scientific facts such as the atomic structure, ionization energy, abundance on Earth, conductivity and thermal properties are included. 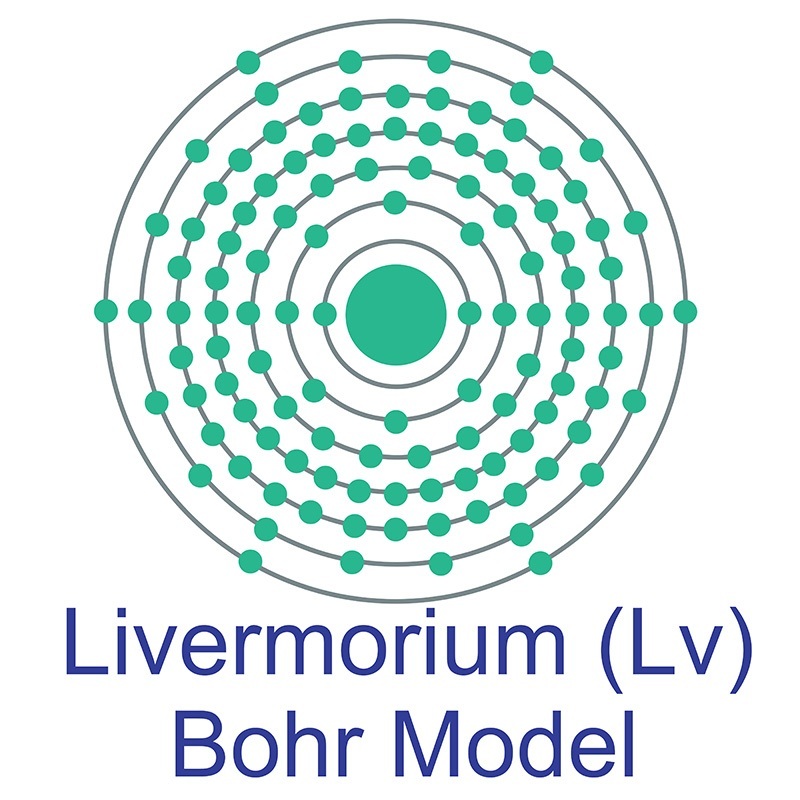 Livermorium is an artificial element. Like all artificial elements, it has no stable isotopes.